Classical Vocal Reprints : For harder to find classical music selections. IMSLP - Public Domain Library : This website is a great source for finding sheet music! Mostly classical song and opera. 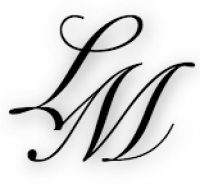 Liesl McPherrin : My website with information about my background, videos, and upcoming performances. Liesl's Voice Studio on FB : "Like" me on Facebook! The First Book of Solos Complete - Parts I, II and III: Soprano : An anthology of very singable songs for young soprano voices. Contains classical repertoire in English, Spanish, French and German. Theory and Sightreading for Singers: Level 1 : Theory and Sightreading for Singers: Level 1 is the book I most frequently recommend to students needing help with their sight-reading and music theory skills. It is very affordable and "user friendly"